Though I’ve yet to try the Cookie Butter some friends have raved about at Trader Joes, when I saw this recipe, I thought it was the perfect opportunity to make it myself and enjoy a somewhat healthier version. You probably wouldn’t believe me that the base is made from garbanzo beans, but they are! 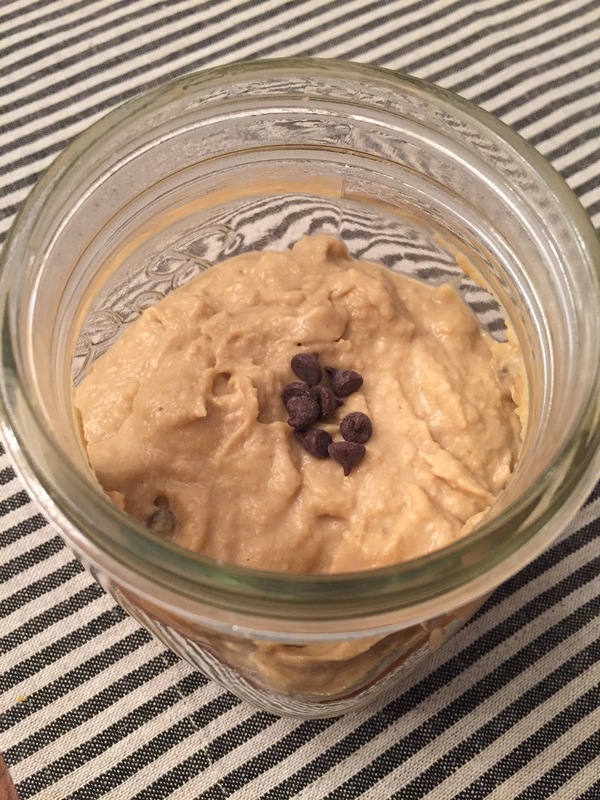 This tastes like cookie dough, and has the texture of hummus. My favorite part of this recipe is that it tastes great even without the chocolate chips, and because it has Sunbutter in it, it tastes similar enough in a PB&J – a great sub for Sunbutter, with added protein! In a small food processor, combine all ingredients, except chocolate chips, and blend until smooth. If adding chocolate chips, remove mixture from food processor and put in a small bowl. Stir in chocolate chips.